If you always believed that there is no other source keeping a track of your loans and repayment responsibilities other than the financial institution or bank you are dealing with, think again! In 2000, CIBIL (Credit Information Bureau India Limited) was founded to collect and store the credit information of all consumers dealing with its members (members include most banks, financial and non-financial institutions, private financing companies and credit card companies in India). CIBIL processes the credit information pertaining to all types of loans (automobile loans, personal loans, home loans, vehicle loans and so on) and credit facilities like overdraft and delivers a CIBIL score for each member of the system. This CIBIL score is the most significant factor that determines one’s eligibility for availing credit in the country. There are many other credit scoring agencies like CIBIL. Read this article, to know about the most popular credit rating agencies of India. It makes loan approval simple and fast. The interest rates for the loans are also determined based on the credit score of the individual availing the loan. With the ISO 27001 security certificate, the CIBIL score is highly dependable. CIBIL scores are also used by employers to test the trust factor of potential employees. A CIBIL score varies between 300 and 900 and banks and other financial institutions consider scores above 750 as ideal for availing any type of loan. In other words, the closer you are to the 900 score, the higher is your chance of availing a loan or credit card. For individuals who are lesser than 6 months old to the credit system are given a credit index between 1 and 5. The higher the index (preferably 4 or 5), higher is the chance of loan or credit card approval. What factors influence the CIBIL score? The most important factor that influences the credit score is the repayment history of the consumer (constitutes almost 35% of the credit score). 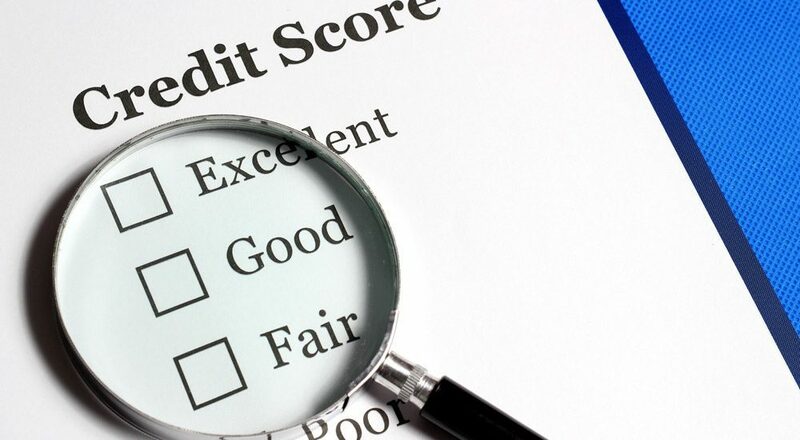 Other factors that interfere with the credit score are the credit balance of the consumer, number of loans, number of credit cards held by the consumer, the balance between secured (housing loans, business loans and so on)and unsecured loans (personal loan) and so on. Credit scores offered by CIBIL are utilised by all leading banks in India to sanction loans. Read on to find out how the CIBIL score affects the different types of loans that can be availed by any average consumer in the country. Generally, students availing an education loan have no credit scoring. In this case, the bank looks at the credit history of the co-borrower (can be the parent or the guardian) who signs the loan application as a guarantor. Education loan providers who are specialising in this particular sector have their own credit reporting system that takes the CIBIL score along with many other factors ( the type of degree, university or college, the location of the education centre and so on) into account. Personal loans also referred to as unsecured loans pose a higher risk for banks and thus most banks and non-banking institutions stress the importance of a good CIBIL score. Consumers with less than 750 CIBIL score cannot easily avail a personal loan at a good interest rate. In many cases, men with poor credit score, make use of their spouse’s favourable credit score to avail loans from banks. For a home loan request to be processed smoothly, different banks have different expectations on the exact permissible value of CIBIL score. However, on an average, most banks will consider a housing loan request if the CIBIL score is above 700. In general, if the CIBIL score of an individual is above 750, then the interest rate for the housing loan would be 4% or lesser. The interest rate can go up to 6% is the CIBIL score is below 650. Housing loans are generally high-value loans and the 2% difference can cause a significant impact on one’s financial status. Vehicle loans are considered to be low risk as the vehicle bought using the loan amount serves as the collateral. Therefore most banks are flexible when it comes to checking the credit score (high 600s would suffice) for sanctioning a vehicle loan. However, one still needs a good credit score to avail low-interest rates for the loan. A business loan is a high-value loan and an individual must have a strong credit score to be eligible for this type of loan. In general, the greater the credit score, the higher is the chance of availing the loan at an affordable interest rate. Most banks reject business loan applications with a credit score below 700. In addition to these loans, the credit card approval process is also affected by the CIBIL score of an individual. A consumer with less than 750 CIBIL score can experience longer credit card approval process, lower credit limits and high-interest rates on the unpaid balance.